Clooney and Sahasranama: His Inter-religious dialogue and Inculturation! Divine debaucheries? 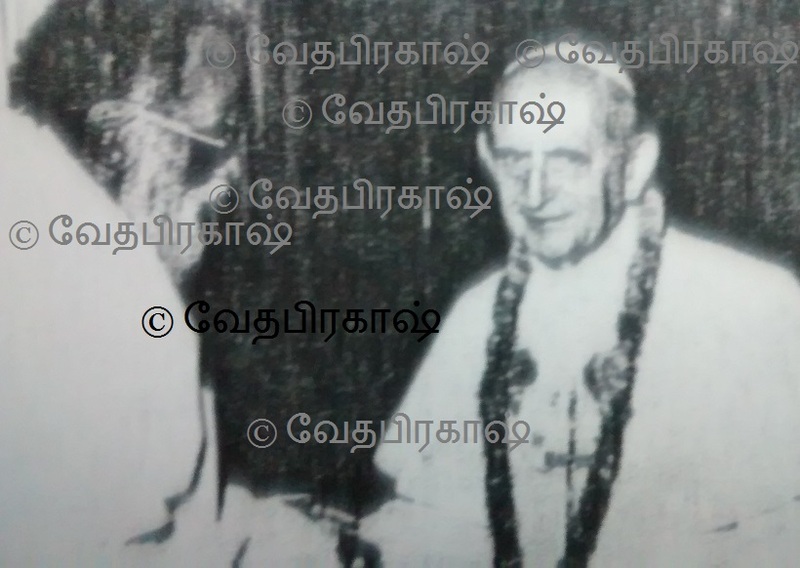 Francis Clooney S. J. has now shown his true colours, though our Vaishnavite friends could not accept or believe his intentions. His reference to Prof. Chacko and my further dig into his background show that such activities have already been going on in Kerala and he has been aiding and abetting as a “consultant” just like Bede Griffiths. Incidentally, Clooney was also there in August, before leaving for USA. Bastardized music: There has been a “Christian Musicological Society of India”, which is an international forum reportedly carrying out “interdisciplinary research, discussion, and dissemination of knowledge, on the music and dance of about thirty million Christians in India, who belong to a diverse set of communities and linguistic groups and follow a variety of liturgical traditions some of which date back to the early Christian era”. Thus, the fraud is revealed with unhistorical vulgarity. 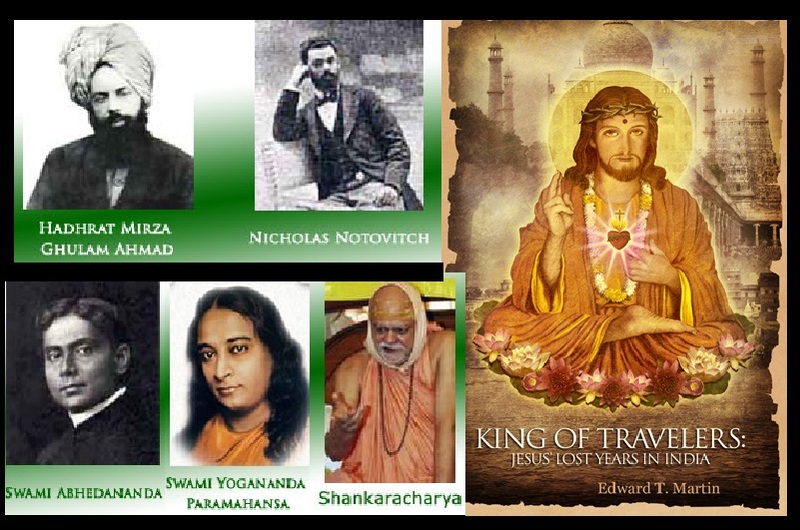 It goes on to say that, “The Society hopes that such researches will draw attention to the lesser known aspects of India in connection with the rest of the world”, as if the Indian Christianity is so connected with the world! The dubious “Kristu Sahasra Naamam”: There were people known as “Jacobites” or otherwise, who were worshipping “Christna” and their “books / bible” referred to him with the stories like “Bhagawatha Purana”. When the Portuguese found them, they destroyed their books and forcefully converted to Catholicism, however, they refused to acknowledge to the Pope. Thus, to satisfy them, the fraudulent “Thomas myth” stories were manufactured and circulated there. 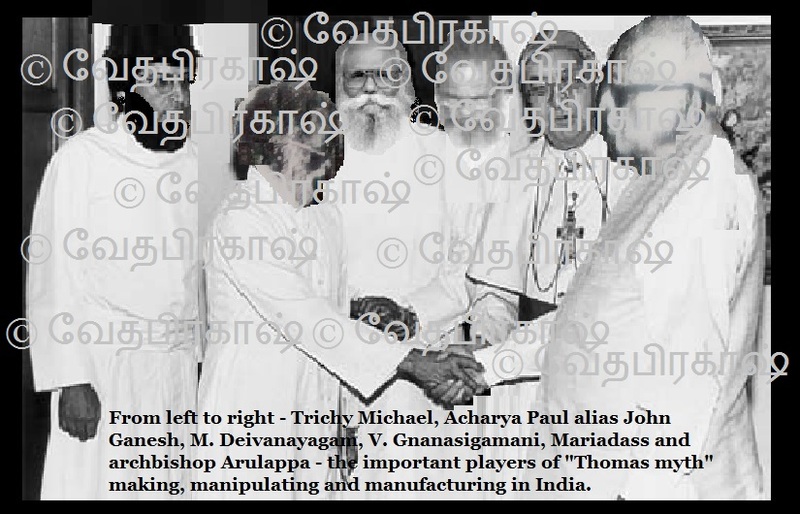 After many legal wrangles with the Pope and then with Supreme court also, they tried to settle with “thomas” masquerade. Thus, as part of their gameplan, under “research”, they have given their list of publications and release of DVDs, CDs etc. Selections from the Sanskrit poem of the same title by I. C. Chacko, Illiparambil, composed in semi-classical style. Pre-recorded cassette. FDMIC 210. Deccan Records, Bangalore. Text: I. C. Chacko, Illiparambil. Lead singers: Joseph Palackal and Indumathi Ephraim. 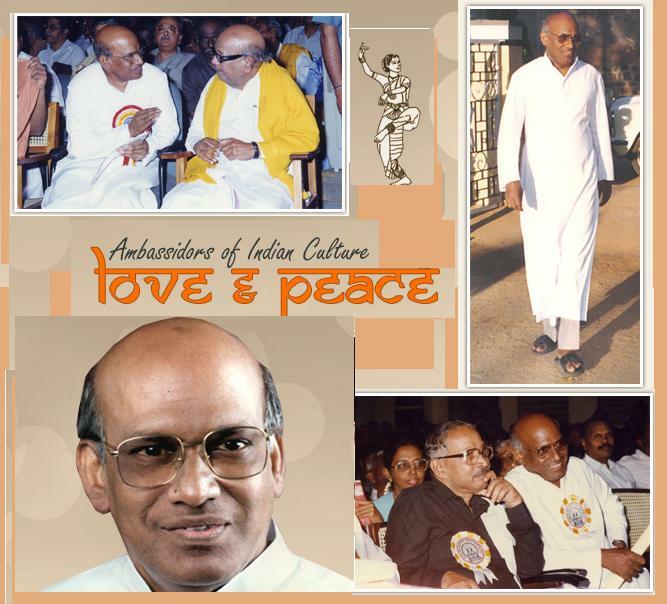 Accompanying booklet with transliteration and English translation of the text by Francis Vineeth, CMI. Kristu Sahasra Naamam [Thousand Names of Christ] (CD): Without any shame, the theological plagiarists, spiritual stealers, divine bootleggers, mystical hooligans, neo-global Aurangazebs, have been carrying out such nasty acts. N CD with booklet (45 minutes). N Selections from the Sanskrit poem by the same title by Chevalier I. C. Chacko (1876-1966). N Vocal soloists: Joseph J. Palackal and Indumathi Ephraim. N Text selected, translated, and introduced by Fr. 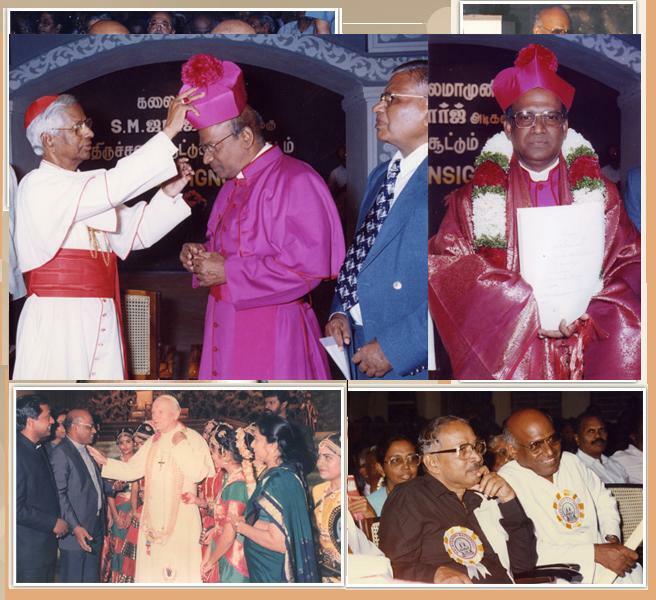 Francis Vineeth, CMI. N Music in semi-classical style by Fr. Anto Amarnad, CMI. Thus, probably, Clooney is mentioning about it. क्रिस्तुसहस्रनामं [The thousand-fold names of Christ]: It appears that one I. C. Chacko has composed it in 1914 itself! Now, let us see, how it appears:– ऐ. सि. चाक्को, इल्लिप्परंपिल्, बि.ए., बि.एस्.सि. [I. C. Chacko, Illiparambil, B. A., B. Sc. / ഐ. സി. ചാക്കൊ, ഇല്ലിപ്പറമ്പില്‍, ബി. എ., ബി. എസ്‌. സി.] Commenced between the 25th and 31st May 1914. Finished at 7:30 A. M. on Friday, 26th June 1914. 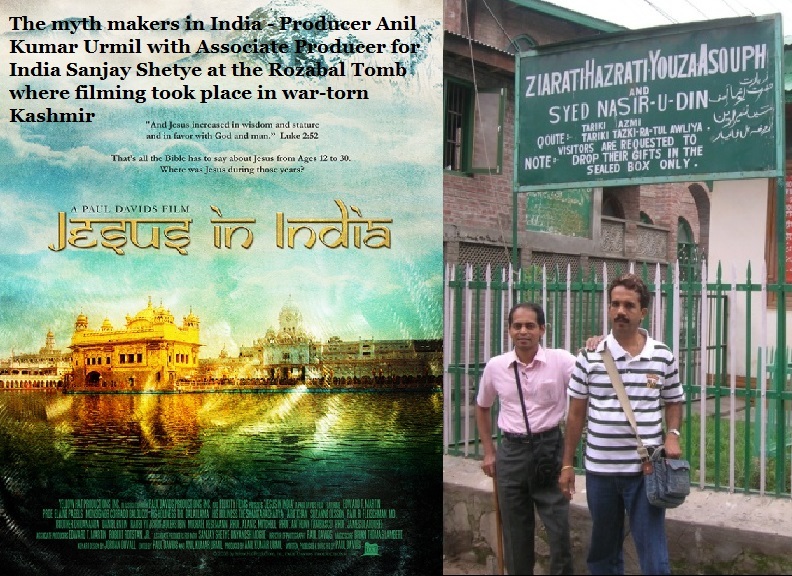 Therefore, it is evident that Chacko had taken much efforts to compose it. We do not know, but, they might have composed it in the same manner M. S. Subbulakshmi recited or otherwise. However, it is evident that it may be singing like |Suklam baradaram Vishnum sasivarna, caturbujam….| and our gullible Hindus may buy and play it along with the original “Vishnu Sahasra Namam”! The Christian or Satanic art in India? : Then, the website gives the following pictures / postcards depicting Jesus and Mary in different Hindu forms: Note, the fellows who cry that Hindus worship ‘satan” and so on have now started appropriating the same “satanic art” and producing such “cross-breed” drawings and paintings crossing all norms. It is not known how suddenly they become “devil worshippers” and the Vatican allows such “demonism”! 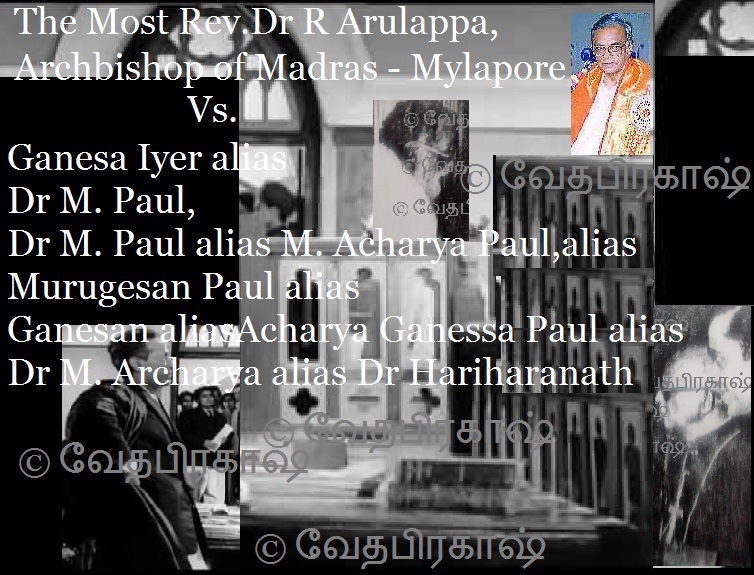 Why these fetishist fakes have been after the hellish activities with iniquitous inculturators and diabolical dialogues? Mark, the same guys who do not want to sing “Saraswati Vandana”, have been misappropriating such Indian tradition and manufactured “Mother of Wisdom”! And they hope that the idiotic Hindus and intelligent Christians could worship such faked goddess and get the results what they expect. Therefore, it is evident that these guys have no decency, decorum or anything and they have nothing for their own. By stealing, looting and appropriating others, how long they would survive like this, like prostitutes? Of course, the third one has been forgery and when it is subjected to dating, it would get exposed. Like any other Christian medieval forgery, it could only belong to a period later than 13th-1th century. However, they claim that “mythical Thomas” himself drew it! Inculration of dance: The misuse of Indian dance, particularly “Bharatanatyam” has been very significant. Again, remember that these guys have been carrying out the propaganda that “Bharatanatyam” was nothing but “temple prostitution”, the high caste Hindus make low caste women as “public dancers” so that they can be used as “prostitutes” and so on. V Why then, these “spiritual bastards” indulge in such “prostitution”? V Do they want to produce “Church prostitution” that has been there already under the guide of “Bhatratnatyam”? At one side, they criticize that all these have been the works of “Satan”, but note, only the member off “Society of Jesus” have been engaged in such dubious activities. Bharata Naatyam: Biblical themes through Bharata Naatyam (South Indian classical dance) by Francis P. Barboza. Mohiniyaattam: Life of Christ in Mohiniyaattam (a dance form of Kerala), a novel program in Malayalam by Kalamandalam Radhika. Choreography based on poetic works by Blessed Fr. Kuriakose Elias Chavara, CMI (1805-1871), Brahmabandhab Upadhyay (1861-1907), Fr. 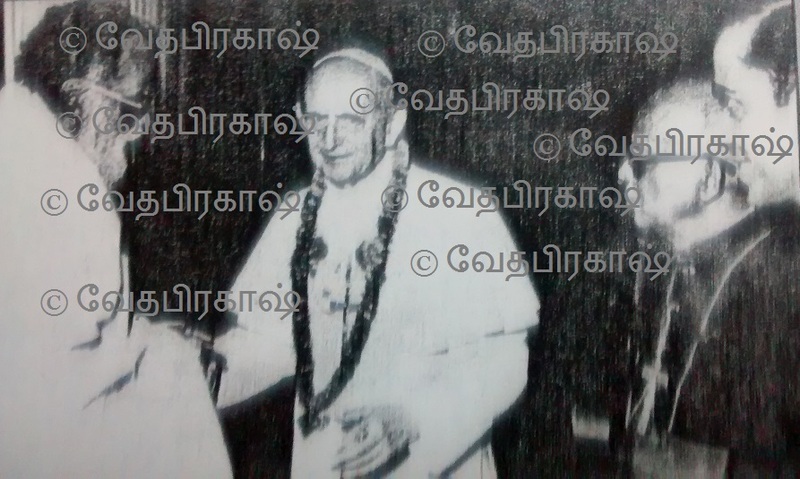 Abel Periyappuram, CMI (1920-2001), and others. Barbosa, S.J has been specializing Bharatnatyam and converting it into Christianity. Soon, he might declare that they only taught it to the Indians. Noun – A person, specifically a woman, who engages herself in sexual activity for payment. In the same way, it is evident that these duplicities, fakers and frauds have indulged in such “theological prostitution”. They too disrobe and masquerade to lure their prospect clients, take them to “different places”, “baptize” under water, give new cloths and money. They have been circulating “Krishna and Christ” pictures, where both descending on the earth with their hands clasping together! Would they depict Mary and Mari in a similar posture? Or May with Shiva, as Shiva is nothing but Jehovah according to their own interpretation! Definitely, Clooney would kill them, if anybody indulges in such experimentation. Otherwise, he may have to accept that his book is a pious fraud or spiritual debauchery! 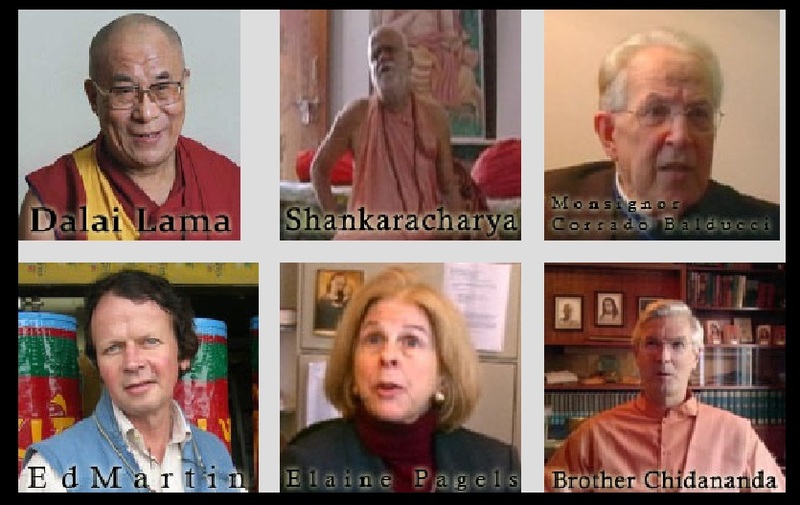 Divine pimps, Theological prostitutes and spiritual consortium: Thus, they have been carrying out their activities without mincing the words and expressing their intention also. After all SJs would come to you for fun or enquire about your health or whether it is raining or not at your place. Therefore, when Clooney like persons come next time, on any pretext, meeting Indians, particularly, Hindus, they should pull them up in public and expose their theological prostitution, divine debauchery and spiritual wickedness all masqueraded under the white robes, Harvard and Oxford scholarships and professorships! Theist irreverence, Divine desecration and Spiritual profanity: At one side, we find total degradation in their approach in their so-called, inter-religious dialogue and inculturation activities, whereas on the other side, their Theist irreverence, Divine desecration, Spiritual profanity, Theological sacrilege, pious fraud etc., are more revealed. Therefore, they should mend themselves, as otherwise, the Christianity would be thrown out very quickly, when common Indians come to know such theological frauds imposed on them. 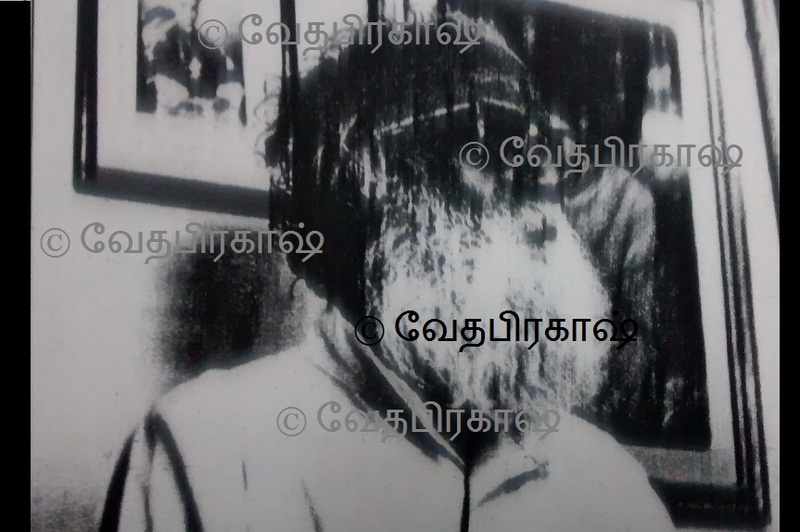 CBCI documents show that he was a consultant for for “Inculturation” project to be carried out in India and he established such ‘bastardized” place of worship as “innovative” spiritual resort!